Do you know why Ronaldo has no tattoo? Find out! Cristiano Ronaldo has a glamour and charm of his own. And he has an incredibly ripped body. Put it all together, and you have the perfect celebrity for a few tattoos. Yes, it would not have been strange if he had sported some tattoos. He definitely fits the bill to earn himself the reason to celebrate his wins with a tattoo or two – body wise, as well as achievement wise. 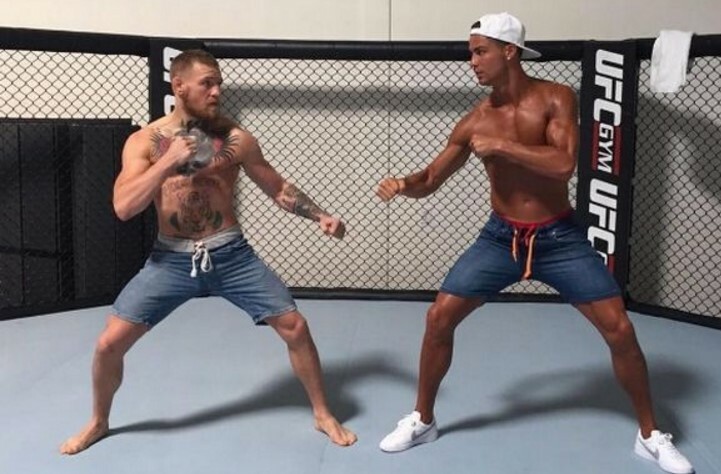 Almost all the other athletes with a good physique sport tattoos, starting from David Beckham to Conor McGregor. They do it for various reasons. Sometimes, they get own to enhance their ripped look. Other times, they get a tattoo as a life-long reminder of an event or a person. However, Ronaldo does not belong to the league of tattoo-marked athletes. Yes, Cristiano Ronaldo does not have a single tattoo, have you noticed? Do you know why the player refuses to get inked? Well, you may not know this, or may have ignored this bit of trivia as a hoax on social media; the real reason Ronaldo keeps himself away from the ink is not that he has some kind of an inhibition against this trend of body art, or that he does not want to regret having a long-lasting mark on his skin several years later. He has a completely different and noble reason. Everybody knows that Ronaldo makes the best efforts to help underprivileged children to overcome diseases. And, he avoids the ink to that he can donate blood. He is already a donor, and is aware that in many countries, a tattoo on the skin can influence the frequency at which a person can donate blood. The waiting period can vary from six months to a year, as a safety measure against the possible cross-contamination and the spreading of blood-borne diseases, such as hepatitis. 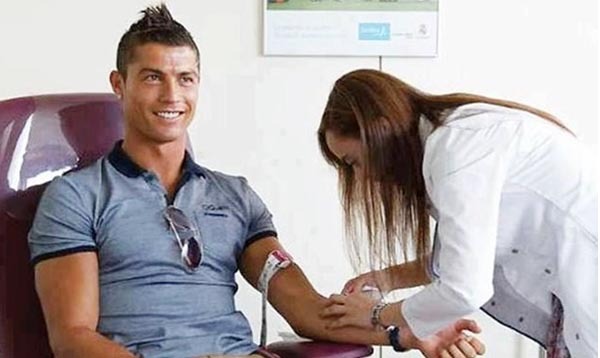 Diretta News reports that Ronaldo once stated that he doesn’t have tattoos as he is a frequent blood donor. Reportedly, Ronaldo donates twice every year. He also said to Spanish radio station Cadena Cope that he is a bone marrow donor, as well! he started it after witnessing the battles of a teammate, Carlos Martins, who played with him on team Portugal. The teammates came to know about the issue with his child, and demonstrated amazing unity to help him and his child in the difficult circumstance. 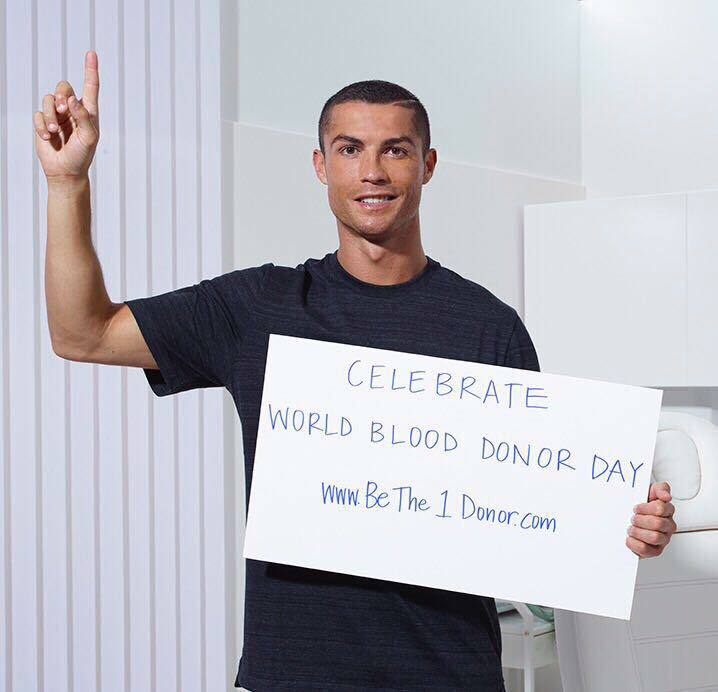 Ronaldo says that donating bone marrow is not as difficult as most individuals seem to believe. It is nothing different from drawing blood, and it does not hurt, added Ronaldo. He further confirmed that it does not cost anything, either, and is a simple procedure. But it definitely leaves the donor with a feeling of happiness and joy for helping someone in need. ON World Blood Donor Day, he also posted on social media an inspiring message to enthuse people to follow his footsteps and donate blood.